What does it feel like to "see" with your ears like a bat or go through a full body transformation like a frog? Can you wriggle in and out of tight places like an octopus, camouflage yourself like a leopard, or do a waggle dance like a honeybee? This creative and beautifully illustrated interactive guide makes learning about animals fun for children ages 6 and up. 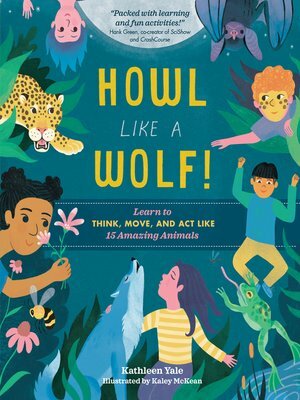 Fifteen animals explain their amazing feats and invite kids to enter their world by mimicking their behavior — an imaginative approach to learning that fosters curiosity, empathy, and dramatic play.